Jean-Michel Basquiat, Now’s the Time, 1985, acrylic and oil stick on plywood, 92 1/2 × 92 1/2". © Artists Rights Society (ARS), New York/ADAGP, Paris, Estate of Jean-Michel Basquiat. 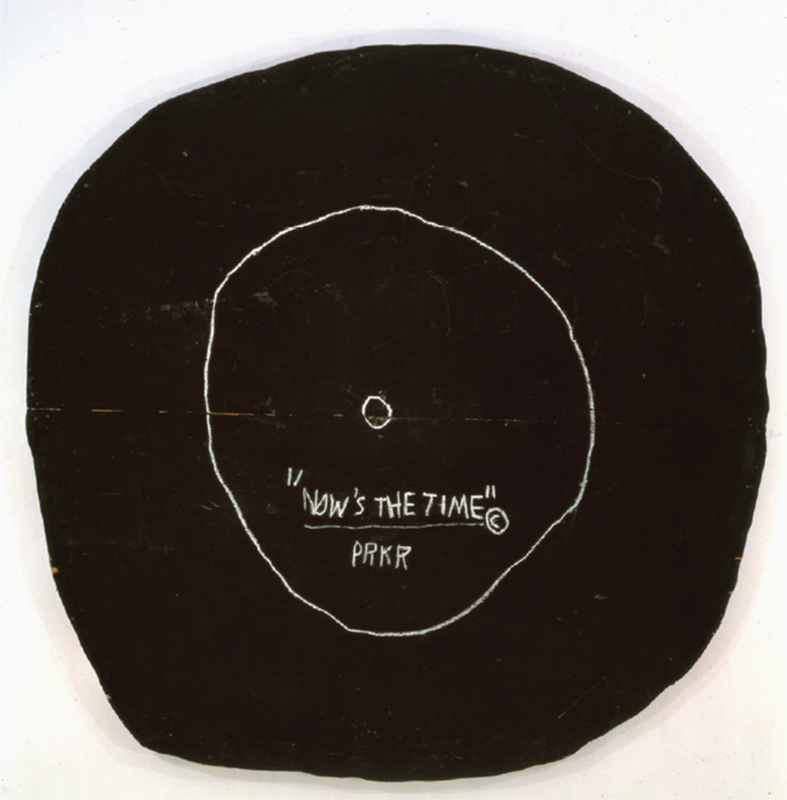 “Now’s the Time” derives its title from the inscription on one of Jean-Michel Basquiat’s boldest paintings, a large, roughly cut plywood disk, depicting a 45 of Charlie Parker’s eponymous bebop composition. This stark painting, which abstains from the expressionist fury associated with the artist, is nevertheless one of his most poignant works. Now is the time for a deeper analysis of Basquiat’s stridently political ouevre, and this thematically curated retrospective of eighty-plus works will address such subjects as racism, power, and social hypocrisy; sampling and scratching; and the TV cartoons the artist studied for figurative inspiration. Characterized by his distinctive, assured hand and by an innovative inner logic, Basquiat’s works reference Burroughs’s cut-up technique and No Wave’s cacophonous rhythms. Buchhart even posits that Basquiat’s remixing abilities prefigured the current Internet-driven perceptual model. 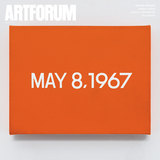 The accompanying catalogue includes contributions by Franklin Sirmans, Olivier Berggruen, and Glenn O’Brien, among others.